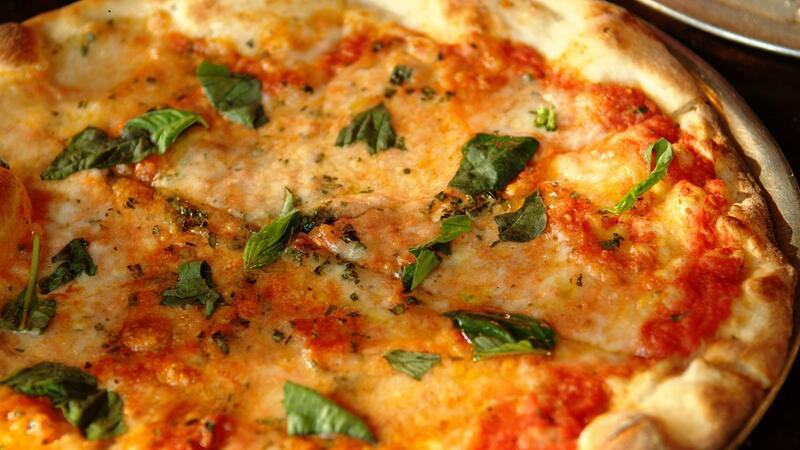 Homemade pizza should take 10 minutes to bake in a 450-degree oven. For frozen pizza, cooking times vary, and the instructions provided on the box should be followed, but it generally takes between 12 and 20 minutes in a 425- to 450-degree oven. A pizza stone is recommended for cooking pizza, though it's not required. Some frozen pizza instructions call for pizzas to be placed directly on an oven rack. According to at least one mathematician, there is a dough to topping ratio that ensures the perfect amount of toppings on a pizza, but it changes with the size of the pizza. Generally small pizzas have more toppings than larger pizzas. How Do You Make Panera's Egg Souffle? How Do You Cook Spaghetti? How Do You Cook Fried Cabbage and Sausage? How Long Does It Take to Cook Bacon-Wrapped Scallops?